Please inform Apartments Stipisic in advance of your expected arrival time. You can use the Special Requests box when booking, or contact the property directly with the contact details provided in your confirmation. Apartment Tonka Hvar ~0,1 km, Hvar price per day from € 80 Set in Hvar and a 2-minute walk from Hvar Basilica, Apartment Tonka Hvar presents air-cooled apartments with a patio and outdoor dining area. Each apartment provides a satellite television, sofa and dining table. The kitchen is complete with an oven and a kettle. Featuring a shower, private restrooms offer free toiletries. Apartment Tonka Hvar is set less than a 10-minute walk from the Harbour and shops and eating places. Guest house Bracanović ~0,1 km, Hvar price per day from € 80 Situated in Hvar, Bed and breakfast Bracanović is a 4-minute walk from Hvar Harbour. It presents gratis wireless internet access and a flowered back yard. 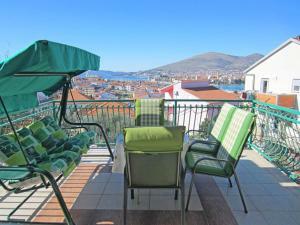 This accommodation unit has 1 guest room and 1 apartment with mountain and town views. Both accommodation types have a seating area, wooden floors and a toilet with free toiletries, a hairdryer and a shower. A kitchenette with a stove, a refrigerator and kitchenware are available at Guesthouse Bracanović. Guest house Zaninović ~0.1 km, Hvar Situated in the real heart of Hvar, just behind the Cathederal, Bed and breakfast Zaninović is located 250 metres from the sea and 1 km from a sandy beach. Gratis wireless internet is available for all visitors. All accommodation units offer simple furnishings providing a desk and chairs and a private toilet with a shower. 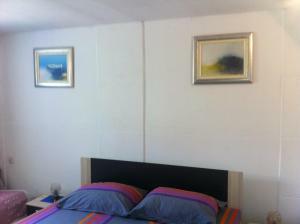 Each room is equipped with air conditioning. The balcony rises above the old city. There is a pizzeria next door, while a grocery shop and a bar can be reached in a few steps. Fresh food market can be found just a short walk away. Mountain bike, motorcycle and automobile accommodations are available not far away, while a not far away tourist agency organises day excursions and trips to the nearby islands and beaches. The catamaran harbour can be reached in 5 minutes on foot, while the Ferry Port is in Stari Grad, obtainable by bus in 20 minutes. Uvala Lozna ( ~ 2.9 km ): 15+ apartments. Milna (Hvar) ( ~ 4 km ): 46+ apartments. Brusje ( ~ 4.4 km ): 6+ accommodation units. Selca ( ~ 9.9 km ): . Sveta Nedilja ( ~ 12.2 km ): 24+ accommodation units. Stari Grad ( ~ 12.6 km ): 247+ apartments. Beach Momo, Hvar ~ 0,9 km from Apartments Stipisic Gravel beach: ideal for families, recommended for young people, with restaurant, with caffe bar, equipped with showers. Excellent choice of watersports. Beach Jerolim ~ 1,6 km from Apartments Stipisic Rocky beach: with restaurant, with caffe bar, equipped with showers. Excellent choice of watersports. Nudism is allowed. Beach Mekicevica ~ 2,2 km from Apartments Stipisic Rocky beach. Nudism is allowed. Beach Pribinja ~ 2,2 km from Apartments Stipisic Gravel beach: ideal for families. Beach Vira, Hvar ~ 2,4 km from Apartments Stipisic Rocky beach: ideal for families, with caffe bar. Excellent choice of watersports. Restaurant Mustaco , Hvar Guest reviews: 7,2/10 ~ 1,3 km from Apartments Stipisic Address: Pokonji dol, 21450, Hvar. Restaurant Pizzeria Mama Leona, Hvar ~ 0,8 km from Apartments Stipisic Cuisine: Pizza. Restaurant Buffet Pizzeria BEPO, Hvar Guest reviews: 8,4/10 ~ 0,8 km from Apartments Stipisic Address: Krizna luka bb, Hvar. Restaurant Lungomare Hvar, Hvar Guest reviews: 8,5/10 ~ 0,6 km from Apartments Stipisic Address: Veljka Kovacevica 20, Hvar. Cuisine: Croatian cuisine. Restaurant Vartal, Hvar Guest reviews: 8,4/10 ~ 0,4 km from Apartments Stipisic Address: Fulgencija Careva 1, Hvar. Cuisine: Croatian cuisine.